Are you a household worker who wants to work as a factory machine operator? 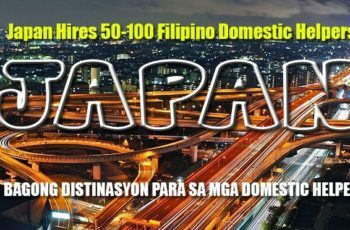 According to POEA, household service workers (HSW) can definitely upgrade their skills as long as you plan things accordingly and acquire the right training from TESDA like food processing. “Kahit sabihin pa na may machine ito, eh kung gusto mongpag-aralan, matiyaga ka, talagang pasok kana maging factory worker,” says Jocelyn Sanchez from POEA. The industry of electronics and food processing in countries like Taiwan is very huge. In fact, NXP SEMICONDUCTORS TAIWAN LTD is in need of 80 female factory machine operators through government to government program. The expected salary is $700 or approximately P36,000. 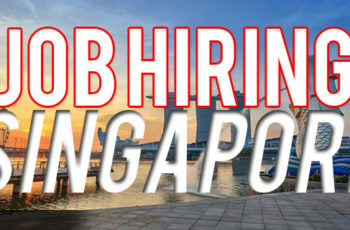 But since the job position is urgent, the sending of application is only until May 23. 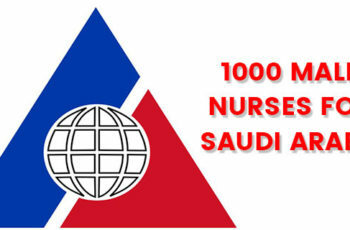 Moreover, Japan is also looking for 150 nurses and 720 care-workers. 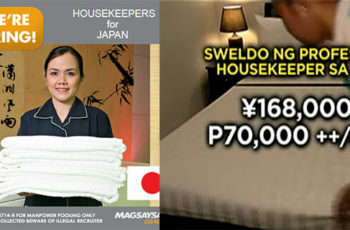 The expected salary for nurses is P78,000 and P73,000 for care-workers. For nursing position, the requirement is to be a nursing graduate, license and work experience. Additionally, a language training is required for the national license exam in Japan. According to POEA, this language training is free and even has an allowance. “Pag-tsagaan natin namatapos ang training kasi in the end, reward to sayo pagnakapa saka, mas lalaki pa ang sweldomo,” says Sanchez. To apply for these jobs, go to the POEA eServices at www.eservices.poea.gov.ph. 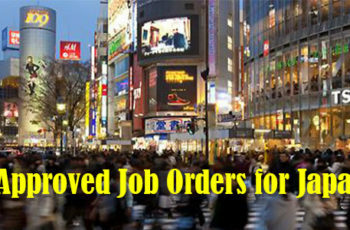 In the website, you will see a list of government to government job orders that you can apply. After registration, you can now start to pass the requirement at POEA. Your applications will then get evaluated and once chosen, the interview will follow.